I know for a fact that my voice will be one of many – too many for me to comfortably even guess a number – giving judgment upon the pilot for Star Trek: Discovery. Whether long term fans, occasional viewers or total newcomers, CBS and Netflix have done a thing, letting loose a new Trek upon the waiting world. From the familiar sound of the starship bridge, lifted from the original series, to the guttural protestations of the Klingons, recalling the Star Trek movies and Next Generation, where linguist Mark Okrand really went above and beyond formulating a whole language for the raging foe of the Federation. The show provided a comforting consistency with a dramatic two-part episode. The characters feel right, those given time to raise their voice and begin to define their personality. By the end of the two-hours, I wanted more – and I wanted to delve deeper. I want to know more about what happened to Michael, where she and Spock fit into Sarek’s family (does he do a lot of fostering?) and how she’s going to get out of that second cliff hanger. I really liked the title sequence – different enough visually, but with moments, both audio and visual, that hark back to both Star Trek (The Original Series) and Enterprise. Discovery is – after all – the bridge between the two, so why not. The uniforms – with the blue jumpsuit of Enterprise and the coloured stripes that tie into The Original – looked good to me. They’re functional, protective working clothes suited to their environment. The weapons, the technology, the aliens… I could go on listing things that engaged my interest and excited my curiosity, but that would get boring. What really worked for me – as a role player – was that nothing here set me on edge about gaming in Star Trek, something I’m going to be doing soon. I wanted to dive back into some Trek to get me in the mood for running some sessions of Star Trek Adventures (from Modiphius) – and, somewhere at the back of my mind, I think I might have been worried that Discovery would “create more work for me”. Sometimes, I’ll watch a film or a TV show and it will excite my imagination and ignite my creativity. I’ll find myself wanting to tinker with something in an existing game or create something brand new. 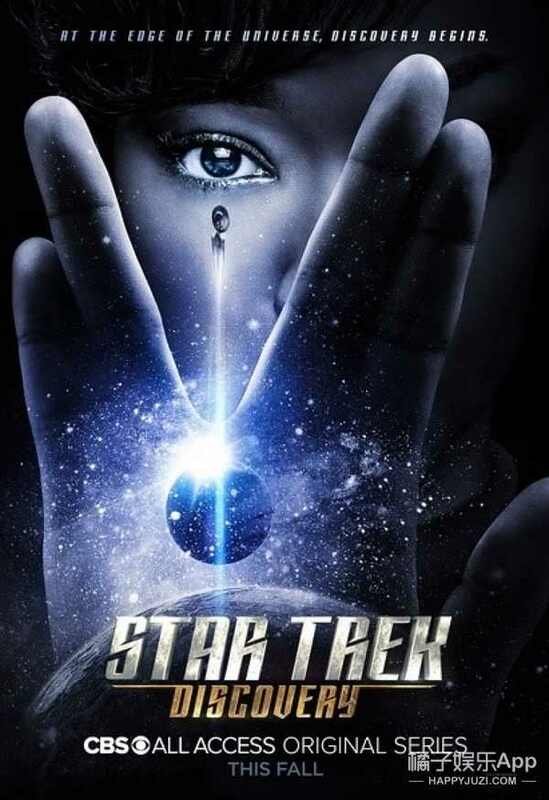 For all kinds of good reasons, Discovery made me excited but I didn’t feel that I had to reinvent Star Trek after watching it. Maybe that sounds negative, but it isn’t meant to. Discovery felt like an extension of what I knew, a new journey into charted territory. It gave me a positive boost, but didn’t make me want to re-write the world. It felt like solid background reading that reminds you of what you enjoyed and reinvigorates your interest. Star Trek Adventures won’t boldly go where Discovery is headed, because the bounds of that game do not cover the new series within the license. However, maybe that’s one of the good things about feeling welcomes and comfortable while watching it. Aside from a few new aliens (and a guest appearance on the bridge crew by half of Daft Punk), I won’t need to try to do much to emulate this new series. I have the tools already in the system I have (and, indeed, the systems that have come before). That’s comforting. That’s positive. That’s the sort of boost I needed to push me a little further into the Star Trek spirit and get me excited for more. More games, more Discovery. I’m not savvy enough to spin mechanics from thin air, but there’s a lot of interesting stuff in here that might warrant a little extra consideration. It isn’t all plain sailing with nothing to add – it’s just eminently gameable on first principle. I liked the fact that the USS Shenzhou was fitted with antiquated technology, creating a rather fantastic transporter room with lateral arrays. It would be interesting to play with that in game terms, probably in terms of Traits associated with the ship. The concept of holographic communications seemed sensible (if a little anachronistic in the Star Trek timeline) and could make for some strange and interesting scenarios. Characters communicating at distance passing on messages that pluck at emotional or motivational strings. Draw the players in and then have the communications turn horribly dark or offer fragmentary suggestions of something going horribly wrong. Somehow I think that experience – the affect of the twist upon the characters – would be viscerally more powerful having experienced an almost one-to-one interactive relationship with the holocomm caller. Better yet, Sarek’s conversations with Michael – now that’s something. I’ve no idea whether that would even warrant the effort to turn interstellar Vulcan telepathy into a mechanic. The concept of leaving a fragment of your katra behind – essentially a sliver of your soul – which allows incredible, but painful, acts of communication. It makes you wonder whether Sarek can intrude into Michael’s mind from that distance by activating the connection with his katra or whether it always requires a certain sort of receptive state, like picking up a call on your mobile. While the Hammerhead-class ships in Star Wars Rebels and Rogue One were great, I loved the slicing prow of the ramming Klingon battle cruiser. The USS Europa might as well have been butter with a hot knife effortlessly sliding through it. That’s a nice way to catch the characters off guard. Oh, and there was something strangely Alien about the derelict tomb ship in T’Kuvma’s flashback. It might make an interesting site for an investigation if Starfleet found a ship like it on a frontier world – or, Starfleet are called to a colony that established itself on the same world as a lost tomb ship. Or, perhaps a research station with one of those crazy-assed scientists has settled around a tomb ship and the guy is trying to resurrect the inhabitants or use their DNA to create something new and scary. Good work; keep it up!